Coleridge left the Wordsworths at Arrochar and went via Glen Falloch, Tyndrum, Glencoe, and Fort William into the Great Glen. He went via Foyers to Inverness and Fort George before turning south via Culloden, Moy, Dalnacardoch and Tummel Bridge to reach Kenmore. He then crossed to Amulree, Methven, Perth and Edinburgh before travelling south by coach. From Edinburgh they travelled to Linlithgow, Bannockburn, Stirling, Callander, the Trossachs, and round by the head of Loch Earn to Killin, Kenmore, and by Aberfeldy to Dunkeld. From Dunkeld they went to Dundee, Bervie, and Stonehaven, and thence to Aberdeen. The next point reached was Banff, then Cullen, whence they proceeded in gigs to Fochabers, thence by Craigellachie Bridge, which Southey greatly admired, to Ballindalloch, Forres, Nairn and Inverness whence then proceeded to view the works constructed at the crossing of the River Beauly and to visit Strathglass. They arrived at Dingwall via Conan Bridge and proceeded to Invergordon, Tain, and Bonar Bridge, thence to the Mound and Dunrobin whence they retraced their steps. From Dingwall they went by Strathpeffer, Strome Ferry and Lochalsh to Skye before resuming their journey southwards via the Caledonian Canal, which is described in detail. The party then went to Ballachulish, Inveraray, Loch Lomond and Glasgow. Southey returned home by New Lanark and Moffat. Southey’s Journal of a Tour in Scotland was published by the Institution of Civil Engineers, but not until 1927. In mid-September, at Scott’s invitation, with Dora, his daughter, as his companion, Wordsworth made his way in an open carriage by way of Carlisle and Hawick to Abbotsford where Scott was already seriously ill. They visited Newark Castle, and proceeded to Callander (via Roslyn Chapel, and Edinburgh) where Charles Wordsworth joined them. The focal point for the Wordsworths’ sojourns at Loch Katrine was the ‘Ferryman’s Hut’ at Coilachra. Dorothy Wordsworth’s affectionate account of this place, of the ferryman and his wife, and their neighbours is the most notable account we have of Highland domestic life at the beginning of the nineteenth century. It is beautifully written. Ferries are a leitmotiv of the Journal. Reading it one gradually becomes aware of their enormous significance everywhere in the Southern Highlands, not just on the seaboard. The Wordsworths embarked on ferries as a natural part of their journeyings, not just across lochs, but up and down them as well. Just how uncomfortable and dangerous they were is frequently made plain. One might suppose that the office of ‘ferryman’ in such a remote spot as the upper end of Loch Katrine, especially as the head of the loch was closer then than it now is, was scarcely required. Coilachra was situated opposite Stronachlachar opposite the military road from Inversnaid constructed in 1718 leading, surprisingly to us nowadays, to Balquhidder, Loch Earn, the foot of Loch Tay, Blair Atholl, and the Minigaig to Ruthven Barracks.. The party first engaged the ferryman after staying the night with the MacFarlanes at Glengyle. Their purpose was to travel to the Trossachs, at the foot of Loch Katrine. An amusing note is struck because Coleridge decides to walk, considering it would be too cold in the boat, and gets there first. One must suppose that the Wordsworths considered it appropriate to travel in the comparative style afforded by a vessel, however humble and however inconvenient. We found the ferryman at work in the field above his hut, and he was at liberty to go with us, but being wet and hungry, we begged that he would let us sit by his fire till we had refreshed ourselves. This was the first genuine Highland hut we had been in. we entered by the cow-house, the house-door being within, at right angles to the outer door. The woman was distressed that she had a bad fire, but she heaped up some dry peats and heather, and, blowing it with her breath, in a short time raised a blaze that in a short time scorched us into comfortable feelings. A small part of the smoke found its way out of the hole of the chimney, the rest through the open window-places, one of which was in the recess of the fireplace, and made a frame to a little picture of the restless lake and the opposite shore, seen when the outer door was open. The woman of the house was very kind: whenever we asked her for anything it seemed a fresh pleasure to her that she had it for us; she always answered with a sort of softening down of the Scotch exclamation, ‘Hoot’. ‘Ho! yes, ye’ll get that,’ and hied to her cupboard in the spence. We got oatmeal, butter, bread and milk, made some porridge and then departed. It was rainy and cold, with a strong wind. Coleridge was afraid of the cold in the boat, so he determined to walk down the lake, pursuing the same road we had come along. There was nothing very interesting for the first three or four miles on either side of the water: to the right, uncultivated heath or poor coppice wood, and to the left, a scattering of meadow ground, patches of corn, coppice woods, and here and there a cottage. The wind fell, and it began to rain heavily. On this William wrapped himself up in the boatman’s plaid, and lay in the bottom of the boat till we came to a place where I could not help rousing him. We now came to the steeps that rose directly from the lake, and passed by a place called the Rock or the Den of the Ghosts, which reminded us of Lodore; it is a rock, or mass of rock, with a stream of large black stones like the dried up bed of a torrent down the side of it; birch trees start out of the water in every direction, and cover the hill above, further than we could see. The water of the lake below us was very deep, black, and calm. Our delight increased as we advanced, till we came in view of the termination of the loch, seeing where the river issues out of it throughj a narrow chasm in the hills. Here I ought to rest, as we rested, and attempt to give utterance to our pleasure: but indeed I can impart little of what we felt. we were still on the same side of the water, and, being immediately under the hill, within a considerable bending of the shore, we were enclosed by hills all round, as if we had been on a smaller lake of which the whole was visible. It was an entire solitude; and all that we beheld was the perfection of loveliness and beauty. We had been through many solitary places since we came to Scotland, but this place differed as much from anything we had seen before, as there had been nothing in common between them; no thought of dreariness or desolation found entrance here; yet nothing was to be seen but water, wood, rocks, and heather, and bare mountains above. We saw the mountains by glimpses as the clouds passed by them, and were not disposed to regret, with our boatman, that it was not a fine day, for the nearobjects were not concealed from us, but softened by being seen through mists. The lake is not very wide here, but appeared to be much narrower than it really is, owing to so many promontories, which are pushed so far into the lake that they are much more like islands than promontories. It rained all the way – all the long long day – we slept in a hay-loft, that is Wordsworth, I, and a young man who came in at the Trossachs and joined us: Dorothy had a bed in the hovel which was varnished so rich in peat-smoke, an apartment of highly polished oak would have been poor to it: it would have wanted the metallic lustre of the smoke-varnished rafters. This was the pleasantest evening evening I had spent since (the beginning of) my tour: for Wordsworth’s hyperchondriacal feelings kept him silent, and self-centred. The next day it was still rain and rain. The ferry boat was out for the preaching, and we stayed all day in the ferry-house to dry, wet to the skin. Oh, such a wretched hovel! But two highland lasses who kept house in the absence of the ferryman and his wife were very kind, and one of them was as beautiful as a vision, and put both me and Dorothy in mind of the Highland Girl in William’s ‘Peter Bell’. We returned to Tarbet, I with rheumatism in my head, and now William proposed to me that I leave them and make my way on foot to Loch Kathrine and the Trossachs whence it is only twenty miles to Stirling, where the coach runs through for Edinburgh. He and Dorothy resolved to fight it out. I eagerly caught at the proposal: for sitting in an open carriage in the rain is death to me, and somehow or other I had not been quite comfortable. So on Monday I accompanied them to Arrochar, on purpose to see the Cobbler, which had impresssed me so much in Mr Wilkinson’s drawings, and there parted with them, having previously sent on all my things to Edinburgh by a Glasgow Carrier who happened to be at Tarbet. The worst thing was the money – they took twenty-nine guineas, and I six, all our remaining cash. You must conceive of the Lake of Keswick pushing itself up, a mile or two, into the Jaws of Borrowdale, winding round Castle Crag, and in and out among all the nooks and promontories – and you must imagine all the mountains more detachedly built up, a general dislocation – every rock its own precipice, with trees young and old – and this will give you some faint idea of the place – of which the character is extreme intricacy of effect produced by very simple means – one rocky high island, four or five promontories, and a ‘Castle Crag’, just like that in the Gorge of Borrowdale, but not so large. Those who know both the Trossachs and the jaws of Borrowdale will be struck by the aptness of Coleridge’s image. The ferryman was a good-natured fellow, and rowed very industriously, following the ins and outs of the shore; he was delighted with the pleasure we expressed, continually repeating how pleasant it would have been on a fine day. I believe he was attached to the lake by some sentiment of pride, as his own domain – his being almost the only boat upon it – which made him, seeing we were willing gazers, take far more pains than an ordinary boatman; he would often say “This is a bonny part,” and he always chose the bonniest, with greater skill than our prospect- hunters and “picturesque travellers”; places screened from the winds – that was the first point; the rest followed of course, richer growing trees, rocks and banks, and curves which the eye delights in. For the Wordsworths, nature and man are different, but related components of one larger whole; components which interact physically, morally and spiritually. In the long run, Wordsworth’s view superseded that of his eighteenth century forbears, but it might have been different if Scott’s commitment to poetry had been stronger than his devotion to history and Scotland. what he does is see man, and the works of man, in a total landscape: land, buildings, people, manners, history fused by time. Like the ballad-makers, he uses his own idiom from the region he knows best, but the approach is transferable. Scott’s man leaves in his wake ruined towers, decaying abbeys, flints, spearheads, broken helmets, bones; legacies of a fuedal faith and a romantic chivalry. Every walk or ride with Scott was a History Trail imbued, like his writing, with the anecdotal, reminiscent richness of the experienced and informed observer. Only now is the Wordsworthian outlook losing some of its tyranny; only now are we beginning to return more frequently to see man in his landscape, rather than the landscape alone; now we may be inclined to renounce our next Highland, Alpine, or Lakeland Holiday for an exploration of our nineteenth century industrial heritage in the wilder regions, say, of West Yorkshire, where woolen mills quietly decay in the valley bottoms, and where violent tales of coining and machine-breaking whisper to us from the old stone of Hebden Bridge and Heptonstall. The idioms of Scott, and those of, say, Norman Nicholson, Ted Hughes, Edwin Morgan and R.S.Thomas are very different but they see and use the landscape in a way that he would appreciate and Wordsworth would not. When I went to bed the mistress, desiring me to go ‘ben’, attended me with a candle, and assured me that the bed was dry, though ‘not sic’ as I had been used to’. It was of chaff; there were two others in the room, a cupboard and two chests, on one of which stood the milk in wooden vessels covered over; I should have thought that the milk could not have been sweet, but the cheese and the butter were good. The walls of the whole house were of stone unplastered. It consisted of three apartments – the cow house at one end, the kitchen or house in the middlre, and the space at the other end. the rooms were divided, not up to the rigging, but only to the beginning of the roof, so that there was a free passage for light and smoke from one end of the house to the other. I went to bed some time before the family. the door was shut between us, and they had a bright fire, which I could not see; but the light it sent up among the varnished rafters and beams, which crossed each other in almost as intricate a manner as I have seen the under-boughs of a large beech tree withered by the depth of the shade above, produced the most beautiful effect that can be conceived. I can add nothing to my description of the Trossachs, except that we departed with our old delightful remembrances endeared, and many new ones. The path or road – for it was neither the one nor the other, but something between both – is the pleasantest I have ever travelled in my life for the same length of way – now with the marks of sledges or wheels, or none at all, bare or green, as it might happen; now a little descent, now a level; sometimes a shady lane, at others an open track through green pastures; then again it would lead us into thick coppice woods, which often entirely shut out the lake, and again admitted it by glimpses. We have never had a more delightful walk than this evening. Ben Lomond and the three pointed-topped mountains we had seen from the Garrison, were very majestic under the clear sky, the lake perfectly calm, the air sweet and mild. I felt it was much more interesting to visit a place where we have been before than it can possibly be the first time, except under peculiar circumstances. Passed by a female who was reaping alone, she sung in Erse as she bended over her sickle, the sweetest human voice I ever heard. Her strains were tenderly melancholy, and felt delicious long after they were heard no more. Stop here or gently pass. Callander owes its reputation to its situation on the Highland Boundary Fault, at one of the principal gateways to the Highlands, the Pass of Leny. Like Crieff and Dunkeld it would have been a popular place of resort without Scott; because of Scott, very many literary personages have visited Callander. Callander, and the town of Kilmahog adjoining to it, lie close to the River Teith, which is thee very rapid. The situation of these two towns is extremely romantic; Ben Ledi being to the north of them, and prodigiously high crags rising directly behind them; these crags are entirely composed of small stones cemented in a socket of clay. It is called plum pudding stone; the towns are entirely built of it. There is a very good bridge over the Teith at Callander, and one at Kilmahog, over the branch of that stream that comes from Loch Lubnaig. Nach dit thum anam air sgath. A version of the Gaelic is as follows: The blood that repayed Your firm justice was shed on the ground from the Cross. It is from it, O King, that I trust that you will not condemn my soul. That was kind to me. in the day o’ fear? But – O Sleepy Hillock! A person who enhanced the literary and artistic associations of Callander during Edwardian times, and between the wars was Reginald Brett, Lord Esher (1852- 1930) who acquired The Roman Camp in 1897. Lord Esher held several high offices, and was an important confidante of Queen Victoria and of Edward V11. He retired to Callander. An admirable biography by James Lees Milne, the author and architectural historian, describes his acquisition. For several years now the Bretts had gone to Callander in Perthshire, the little town known as the Gateway to the Highlands. Regy had fallen for the place and managed to buy the old hunting lodge of the Dukes of Perth, which derived its name from the Roman earthen ramparts which enclosed a field bounded by the River Teith. The house approached direct from the main street, lay between the town and the wide river which flowed in full spate within a few yards of it. When the Bretts acquired it the house was a simple farmstead, roughcast (or harled as it is called in Scotland) and washed pink – hence the family nickname for it, Pinkie. The central porch, bearing an inset plaque inscribed ‘Gang Warily’ and the date 1625 was probably built of old materials before 1914, because during the seventeen years before the First World War Regy made several additions, improvements and alterations. These were carried out in stages, mostly by a young architect, Gerald Dunnage. All the changes evinced remarkably conservative taste, with careful regard for the unpretentious style of the original block. The downstairs rooms of the house were low and mostly wainscotted, with the exception of the drawing room facing the Teith upstream and the library., both additions designed on a more generous scale. Regy and Nellie together planned the sweeping green lawns and herbaceous borders. Facing the front door a seat on a mound of beech trees overlooked the river. At the rear, a small enclosed garden of yews had a sundial on a stone pillar in the centre. A large walled garden to the east still contains a noble Roman marble well-head acquired by Regy. On a greenhouse a frieze, carved by Howard Sturgis’ companion, the Babe, bore the Horatian tag, ‘Ille Terrarum mihi praeter Omnes Angulus ridet’ – That corner of the world smiles for me more than anywhere else. Westwards beyond the Teith, the solemn summit of Ben Ledi, where John Millais and Effie Riskin fell in love, brrods over the scene. In 1903 Regy bought the adjoining Ben Ledi Estate because Maurice wanted it. Regy grew to love the Roman Camp as he had never loved Orchard Lea, and it eventually became his only home. By some happy chance Pinkie, fifty years after the family disposed of it, still preserves that air of love and care bestowed upon it by the Bretts. A further interesting coincidence is that one of Stevenson’s earliest poems, about the Pentlands, but almost certainly composed on the Darn Road beside the Allan Water, used a part of the Horatian tag quoted above for its title, ‘Ille Terrarum’. It can also be noted that Stevenson holidayed in Callander as a boy. Among significant visitors to The Roman Camp were David Young Cameron, the distinguished painter and etcher, and, briefly in 1919, Sidonie-Gabrielle Colette (1873-1954), perhaps the best known of modern French women writers of the first half of the twentieth century. James Matthew Barrie (1860-1937) was another friend of the Brett family who visited them there. One of Lord Esher’s daughters was Dorothy Brett, a painter and member of the Bloomsbury set, who went to New Mexico with Freida and D.H. Lawrence. A tipsy butler and a handsome footman, Alfie, waited at table. Alfie, the old coachman’s son, also acted as chauffeur of a motor car called a Metallurgique, with a long brass serpent horn. Lord Esher’s English residence – near Windsor – was called Orchard Lea. The guest house of that name in the High Street, at one time called Rosebank, was acquired by him for his grown-up children, and was briefly occupied by his widow after his death in 1930. Lees-Milne calls it ‘an ugly villa’. Beside it a public footpath leads to the ‘Roman Camp’. Esher’s son sold The Roman Camp which is now a hotel. Callander’s other literary associations include two minor poets, Christina MacDonald (b.1868), who wrote sentimental poems, and J.A.Ferguson (b.1873), a native of the place, in whose Vimy Ridge and Other Poems there is a witty poem about small burgh life, frequently anthologised. 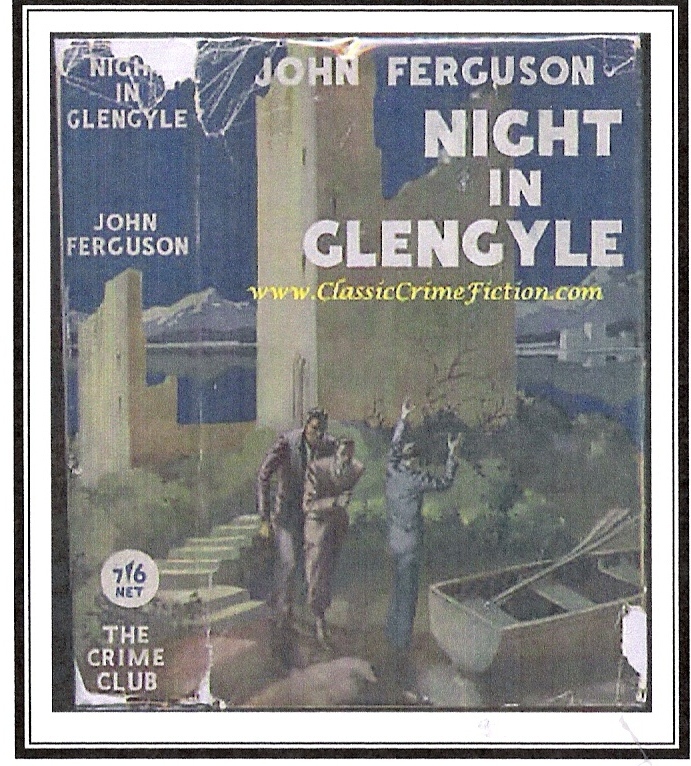 Ferguson was an oft-performed dramatist, the author of Campbell of Kilmhor, a play about Jacobites set in North Perthshire, and a popular novelist who wrote thrillers and historical novels set in the Highlands. The original cover of one of John Ferguson’s novels. Malcolm Ferguson who wrote two books about West Perthshire lived at Morenish House, Callander. In 1962, BBC Television made it the setting for adaptations from A.J.Cronin (1896-1981) in ‘Dr Finlay’s Casebook’, very loosely based on that author’s autobiography. However, Dumbarton has much more genuine and interesting associations with him. Scott frequently stayed at Cambusmore, just outside the town beside the Teith (see above). On one of his early visits to Callander Scott was in the company of, ‘Monk’ Lewis. 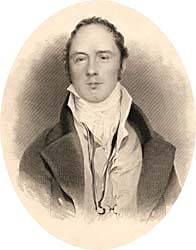 It was ‘Monk’ Lewis (1775-1818) who first encouraged Scott to write poetry. Lewis himself wrote Poor Anne at Callander. He eventually published Tales of Wonder on 27 November 1800. It contained three original poems by Scott, including Glenfinlas. Fortunately our first Casebook script editor, Harry Green, combined grace and integrity so that the series had something of an exquisite period short story without sacrificing the underlying poverty and pain of the situation, in which the doctors were ignorant of modern discoveries. That the series was scrambled together in haste was evident in that, for all the years (1962-69) we played in Arden House, Dr Cameron’s sitting room never had a window. A conservatory, however, where he could lambast his violin with a Paganini-like ferocity, was provided. But no-one seemed to notice. After the first three stories, it was very evident that the moral tone of the series had captured the early Sunday evening audience which usually goes to church. Slowly the process unfolded as the Casebook took its place in the production schedule of the BBC. At this time, episodes were produced in batches of thirteen, making twenty-six in a year, with a lengthy vacation during the summer. The exterior filming of the stories eventually settled in the area of Callander; otherwise production was in the London studios. This is a beautiful cascade made by a mountain stream called the Keltie, at a place called the Bridge of Bracklinn, about a mile from the village of Callander in Menteith. The next day I took a little boy for my guide, and proceeded (by the road that leads from Callander, over the hills, to Comrie) to Brackland Brig, and the cascades there of the Water of Keltie (or violent). I was told that it was not a mile to, walk thither, but I found it at least two. The glen about the bridge is extremely narrow and deep; and, until I came within the noise of the cascades, I perceived nothing that indicated the romantic horror which had been described to me. But on descending a steep field, close to the top of the falls, I found them grand and beautiful; dashing in different directions, height and breadths, till the water roars and foams through the deep chasm under the bridge, to thre pool just below it, which is, at least sixty feet beneath the bridge. The path to get at the bridge is about one foot and a half wide, upon the jutting sides of high towering rocks, from which sprout wood, from the the depth below to the jagged tops above, in every direction, feathering down to, and hanging over, the rushing water. the only safeguard for the hardy being advanced to this awful Brig, are upright, broken irregular pieces of rock which form a winding narrow parapet; and having the spray constantly falling upon them, arecovered with moss; and fern, and all sorts of aquatic weeds cling to them. It requires some strength of head to creep round this path; the huge mass of rocks to the right is woody to the top; to the left is a precipice of perpendicular jagged rocks, at the bottom of which the rushing cascades contend woith each other which shall first dash through thechasm, sixty feet beneath the spectator. After passing this winding path, a foot and a half wide, I came to the bridge which struck me with astonishment and admiration. The rocky bank on the other side of the bridge, is on a level with the flat projecting part of the rock, on which the path to the bridge is worn. The chasm between the two rocks, over which the bridge is laid, cannot be wider than four or five yards. Before I ventured upon the bridge, I stood trembling to gaze and admire; for I could not help shuddering, though I was highly gratified with the whole scene. Before me lay a bridge made of birch poles, extending from rock to rock, over the deep chasm, and these poles have branches of birch laid across them, and turf covers the whole. On the opposite bank is a beautiful rocky bank, covered with wood, intermixed with some verdure, coarse grass, rushes fern etc., with broken pieces of rock peeping through the stems of trees, weeds and moss. The bridge appeared so light, and the depth below so terrific, that I was in some doubt whether I should venture to cross it. My little guide, however, stood upon it, whistling with the utmost unconcern. I followed him; but in truth I looked not on either side, for the bridge vibrated, and the waters roared beneath, so that I wasglad to skip over as fast as I could. The bridge, to look at it, is a narrow, tottering green path, from rock to rock, not a bit of a fence on either side, about a yard wide. In order to see this extraordinary bridge and the cascades, in every possible point of view, I crept through the wood and broken rocks, until I got upon a huge projecting tower, in front of the chasm, where the pent up water rushes through the narrowest passage. in getting, however, to that point, i was obliged to step over several rents in the rocks, of at least a foot wide, the depth of them not to be seen; but the grand beauties of the cascades, and the deep glen below, seen from that station, made me full amends for my temerity in getting to it. The bridge, on my return, seemed not less tremendous than when I first crossed it; and I was glad to reach my first situation on the side of the rock, with a solid parapet before me. A few miles on the road skirts the Teith, the sweetest voiced of all the Scottish streams. The Roman centurian heard its pebbly murmur on his march even as you now hear it. The river, like all beautiful things, is coquettish, and just when you come to love her music, she sweeps away into the darkness of the woods and leaves you companionless on he dusty road. Never mind you will meet her again in Callander, and there for a whole summer day, you can lean on the bridge and listen to her singing. It was sunset as I approached it first years ago. Beautiful the long crooked street of white houses dressed in rosy colours. Prettily dressed children were walking or running about. The empty coach was standing at the door of the hotel, and smoking horses were being led up and down. and right in front stood King Ben Ledi, clothed in imperial purple, the spokes of splendour from from the sinking sun raying far away into heaven from behind his mighty shoulders. Callander sits like a watcher at the opening of the glens, and is a rendezvous of tourists. To the right the Pass of Leny – well worthy of a visit. You ascend a steep path, birch trees on the right and left; the stream comes brawling down, sleeping for a moment in black pools beloved by anglers then hastening on in foam and fury to meet her sister in the Vale of Menteith below.